Charities, community groups and other good causes went home with cheques totalling £31,250 last night (January 22) thanks to the Aylsham Show. Representatives from 46 organisations packed into The Forge, at Aylsham, for the handout of proceeds from the annual one-day traditional country show by outgoing president Mike Gamble. 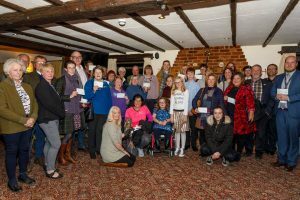 The recipients were: £3,500: North Walsham Rugby Club, including ladies’ section; £2,500: Reepham and District Rotary Club (for Eating Matters, SOBS, MIND, Benjamin Foundation); £1,500: Rotary Club of Aylsham (for Aylsham High School, Hospice Ethiopia and others), East Anglia’s Children’s Hospices, cardiology department of the Norfolk and Norwich University Hospital; £1,250: Aylsham Flower Club (for Big C). £1,000: Aylsham Boxing Club, Royal Agricultural Benevolent Institution, Aylsham Community First Responders, Star Throwers, Aylsham Youth and Community Centre. £500: Aylsham Older People’s Association, Aylsham St Giles Cricket Club, Aylsham Tennis Club, Aylsham Football Club, 3rd Aylsham Guides, Aylsham and District Care Trust, North Walsham Young Farmers, Sainsbury’s North Walsham (for Norfolk Family Carers), Happisburgh Owls, The Buckingham Emergency Food Appeal, Multiple Sclerosis Therapy Centre Norfolk, North Norfolk Diabetes UK Group, Norwich and District Riding for the Disabled Association, Fishing for Schools, The You Are Not Alone project, Sheringham and Cromer Lions Club (for Jenny Lind Children’s Hospital), Aylsham Band, Break charity, Buxton Primary School PTFA, North East Norfolk District Scout Council, Aylsham Recreation Ground, Fundraising for Felicity, Miniature Donkeys for Wellbeing Ltd, Market Surgery, Aylsham. 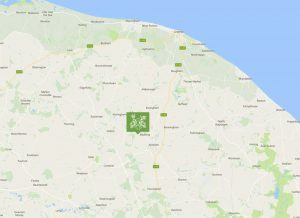 £250: Aylsham Roman Project, Norfolk and Norwich Association for the Blind, 1st Aylsham Scout Group, Norfolk Tortoise Club, Vocalights Choir, Aylsham Chess Club, Broadland Voluntary Police Cadets, Aylsham Community Gym, St Michael’s Association of School Helpers, Norfolk Citizens Advice. 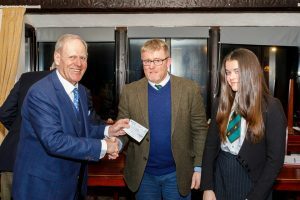 A number of those receiving cheques had helped with the 2018 show, including North Walsham Rugby Club which received £3,500, the largest donation. 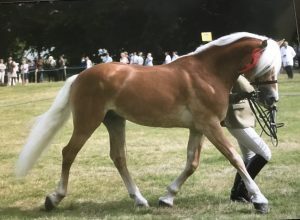 About 40 club members volunteered to spend up to 12 hours at the show, directing traffic, managing the car parks and distributing leaflets. Chairman Keith Jarvis said they were delighted with the award and were always keen to contribute to the community. The money was very welcome as the club was almost totally reliant on the generosity and goodwill of local businesses and supporters for funding. “Eleven of our First XV’s 13 away fixtures are in London or Essex so our travel costs are significant, whilst to compete effectively we have to train twice a week and provide appropriate coaching and medical support. The club also runs a lot of sides so we have six pitches to maintain,” he added. Louise Cook, head of fundraising at the Norfolk and Norwich University Hospital, said they were very grateful for the £1,500 donation to the cardiology department. 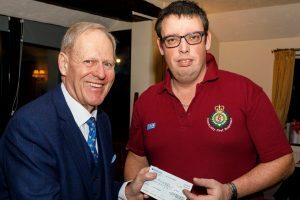 Aylsham Community First Responders will put its £1,000 award towards replacing its pulse oxygen monitors, according to Paul Wooster, the group’s co-ordinator. The eight-strong team of volunteers, managed by the East of England Ambulance Service NHS Trust, attends an average of 30-plus calls each month giving life-saving first aid in the vital minutes before an ambulance arrives. Their kit also includes defibrillators and they rely on public donations. Mike Gamble said it was a huge pleasure to distribute so much money to so many worthy causes. “As usual a number of the beneficiaries were groups which helped us stage the show and we’re always grateful for their support,” said Mike. 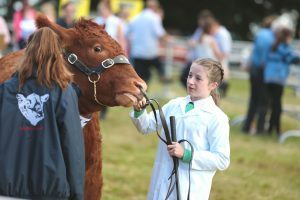 Windy weather on last summer’s show day led to the disappointing cancellation of aerial events in the main ring but despite that a large crowd still enjoyed the day. 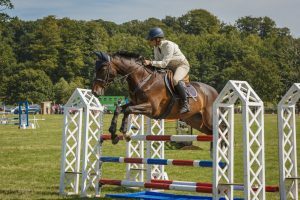 The amount raised for local good causes was not far short of the £32,000 given out last year, following the 2017 show. At the AGM following the presentations, Clare Buxton was chosen as the 2019 Aylsham Show president. 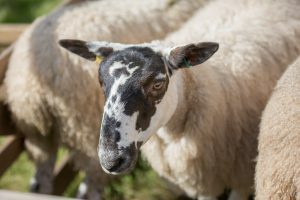 She and her husband Andrew are long-serving members of the Aylsham Show Council and run their business, Norfolk Shepherd Huts, at Park Farm, on the Salle Park Estate, just outside Reepham. 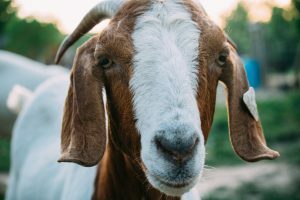 This year’s 73rd Aylsham Show will be held, as usual, on the Blickling Estate on Bank Holiday Monday, August 26. And organisers promise that there will be an exciting, lively, noisy and crowd-participating programme of events in the main ring. Aylsham Community First Responders receiving their donation. North Walsham Rugby Club who help on the day of the Aylsham Show receiving their cheque for £3500. Some of the recipients of the Aylsham Show donations.